Eden Hazard is bizarrely relaxed for a man who has a huge decision to make on his future. Could it be because he’s already made his mind up? This is all we get every time he’s quizzed about his future, which is preferable to public flirting with Los Blancos, but it gives us something rather dangerous – hope. 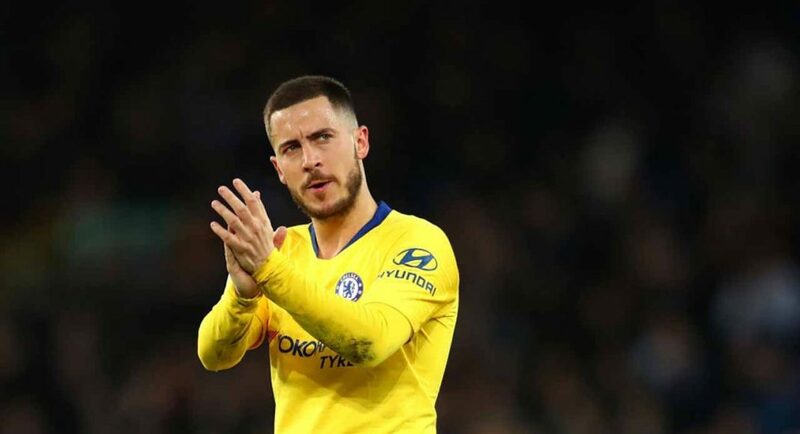 As long as Hazard is denying that a move to Madrid is close and there is no suggestion that the clubs are actively holding negotiations, we remain hopeful. But, why? If Hazard had any intention of extending his Chelsea contract, there’s no doubt in my mind that he would have done it by now. Why wouldn’t he? He is adored by everyone at Chelsea and has the option to enter the Frank Lampard/John Terry/Didier Drogba bracket if he were to remain. He’ll be aware of that. Yet, no contract has been signed and his answers in press conferences remain rather brief. It’s difficult to believe what’s coming out of his mouth right now. A man who is yet to make the biggest decision of both his and his family’s lives would surely not be so relaxed about what lies ahead. My view is that he has already made up his mind, and from a Chelsea perspective, it’s going to be bad news this summer. Zinedine Zidane has returned to Real Madrid. They’re on the back of an awful season. Florentino Perez is surely going to make serious funds available this summer. They’ll be spurred on by the manner in which they managed to land Thibaut Courtois from us for below his actual market value. ‘Just’ £35M, the Mirror claimed. Courtois, a close friend of Hazard’s, also had just a year left to run. Are we really to believe that he hasn’t had a word in his ear during Belgium training? It’s difficult to feel any animosity towards Hazard. After all, he has stayed loyal to Chelsea through some difficult moments and lead us to victory.